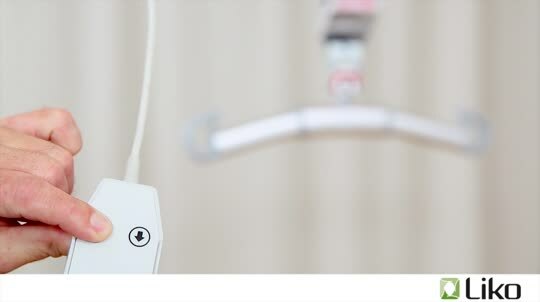 Your safe patient handling program requires more than equipment to be successful; it requires a strong policy, realistic procedures, and other processes such as sling management to be effective in reaching your desired goals. You might already have a safe patient handling policy in place. If so, please review your current policy and consider strengthening some of the language to promote success in your safe lifting campaign. If you do not have a policy or wish to enhance your policy or other program elements, you can contact your Hill-Rom representative to schedule a Safe Patient Handling Development Workshop with one of our consultants. This workshop will provide your facility with the knowledge, tools and action plan to initiate and implement a successful safe patient handling program. Attendees will work through identifying goals, developing policies and procedures, creating organizational structure, and more. Within this section, you will find tools to support the development of facility-specific safe patient handling policies, methodologies for assessing patient mobility, and a tool to constructively evaluate events that lead to caregiver injury. Additionally, resources regarding the care and maintenance of lifts and slings can be found here. This tool is to support your development of a methodology for assessing patient mobility. This guide describes product specifications for basic Liko® Lifts and quick operation instructions. This guide describes provides product specifications of basic Liko® Lifts and simple operation instructions. 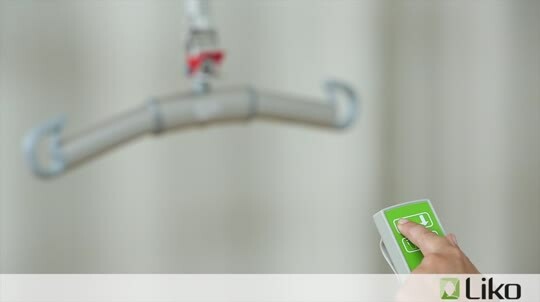 Esta guía proporciona las especificaciones del producto de básicos Liko® e instrucciones de operación simples. This tool details recommendations for the care and maintenance of Liko® slings. 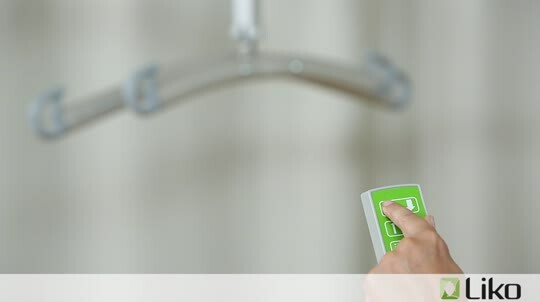 This tool details recommendations for the care and maintenance of Liko® lifts. This guideline describes the relevant Likorall ™ product specifications that may facilitate safe patient handling. This checklist is designed to assess understanding of and proficiency in specific technology. A checklist designed to assess understanding of and procificiency in specific Hill-Rom technology. The Likorall™ product instruction guide. This video provides general instructions on how to use the Likorall™ 242 overhead lifts, including Operation, Charging, Simple Trouble Shooting, Emergency Lowering and Cleaning Instructions. This guideline describes the relevant Golvo® product specifications that may facilitate safe patient handling. This checklist is designed to assess understanding of and proficiency in the Vehicle Extraction application. The Golvo® product instruction guide. This video provides general instructions on how to use the Golvo® mobile lifts, including Operation, Charging, Simple Trouble Shooting, Emergency Lowering and Cleaning Instructions. This guideline describes the relevant Golvo® product specifications for vehicle extraction that may facilitate safe patient handling. This guideline describes the relevant Viking® product specifications that may facilitate safe patient handling. Online learning modules are availalbe for this product on the www.hill-rom.com. The Viking® product instruction guide. This video provides general instructions on how to use the Viking® M mobile lifts, including Operation, Charging, Simple Trouble Shooting, Emergency Lowering and Cleaning Instructions. 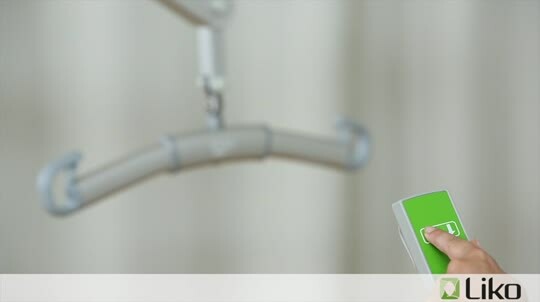 An instruction guideline describing the Sabina® product specifications that may facilitate safe patient handling. Checklist designed to assess understanding of and proficiency in specific Hill-Rom technology. The Sabina® II product instruction guide. This video provides general instructions on how to use the Sabina® II sit-to-stand lifts, including Operation, Charging, Simple Trouble Shooting, Emergency Lowering and Cleaning Instructions. Instruction guidelines describe the relevant RollOn™ product specifications that may facilitate safe patient handling. This video provides general instructions on how to use the RollOn™ Mobile Lifts including Operation, Charging, Simple Trouble Shooting, Emergency Lowering and Cleaning Instructions. Guideslines describe the relevant Uno™ product specifications that may facilitate safe patient handling. This video provides general instructions on how to use the Uno™ mobile lifts, including Operation, Charging, Simple Trouble Shooting, Emergency Lowering and Cleaning Instructions. This video provides step-by-step instructions for moving a patient higher up in bed using the RepoSheet®, in this case shown with the Likorall™ overhead lift. This video provides step-by-step instructions for using the RepoSheet® to turn a patient in bed, in this case shown with the Likorall™ overhead lift. This video provides step-by-step instructions for using MultiStraps™ to turn a patient in bed, in this case shown with the Golvo® mobile lift. 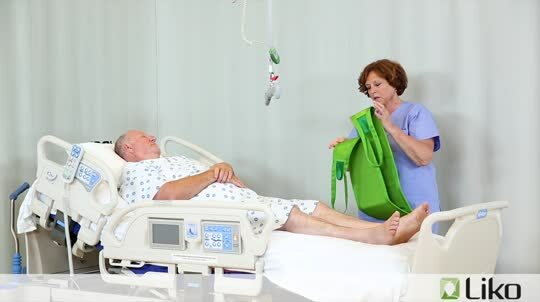 This video provides step-by-step instructions for transferring a patient from a seated position in bed to a chair, in this case shown with a Soft Original HighBack Sling and the Likorall™ overhead lift. This video provides step-by-step instructions for transferring a patient from a laying position in bed to a wheelchair, in this case shown with a Soft Original HighBack Sling and the Golvo® mobile lift. This video provides step-by-step instructions for transferring a patient from a wheelchair to the toilet and back to the wheelchair, in this case shown with a HygieneSling™ and Viking® mobile lift. This video provides step-by-step instructions for transferring a patient from the bed to the toilet and back to the bed, using Sabina® II sit-to-stand lift, in this case together with a SupportVest™. This video provides step-by-step instructions for transferring a patient from the floor to the bed, in this case shown with a Soft Original HighBack Sling and the Golvo® mobile lift. 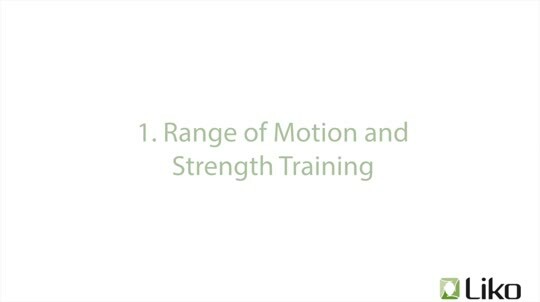 This video provides step-by-step instructions for using LiftPants™ to transfer a patient from a seated position in bed to ambulation and gait training, in this case shown with the Golvo® mobile lift. This video provides step-by-step instructions for using a MasterVest™, to transfer a patient from a wheelchair to ambulation and gait training, in this case shown with the Likorall™ overhead lift. This video provides step-by-step instructions for transferring a patient from a seated position in bed to a standing position, using Sabina® II sit-to-stand lift, in this case together with a SafetyVest™. This video provides step by step instructions for applying a MultiStrap™ lift aid to a patient in bed as well as further guidelines to lift the patient’s leg, allowing greater access for wound care, in this case shown with a Golvo® lift. This video provides step-by-step instructions for moving a bariatric patient from a seated position in bed to a wheelchair, using the Viking® XL mobile lift, in this case together with a Soft Original HighBack Sling. 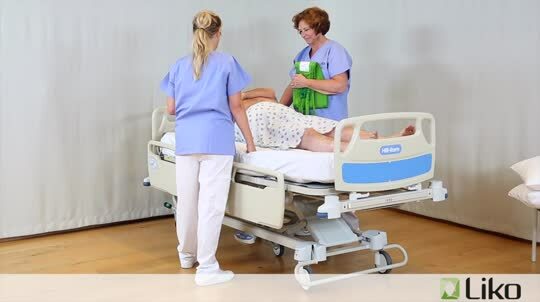 This video provides step-by-step instructions for moving a bariatric patient from a lying position in bed to a chair, using the dual Likorall™ lift motors, in this case together with a Soft Original HighBack Sling. 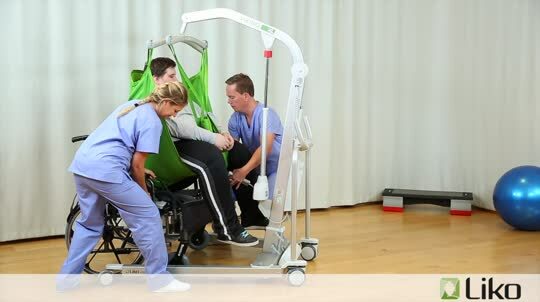 This video provides step-by-step instructions for moving a bariatric patient from a seated position in bed to ambulation and gait training using LiftPants™, in this case shown with a Viking® XL mobile lift. This video provides general instructions on how to use the Viking® XL and L mobile lifts, including Operation, Charging, Simple Trouble Shooting, Emergency Lowering and Cleaning Instructions. This video provides general instructions on how to use the Viking S® and XS® mobile lifts, including Operation, Charging, Simple Trouble Shooting, Emergency Lowering and Cleaning Instructions. This video provides general instructions on how to use the Uno™ mobile lifts, including Operation, Charging, Simple Troubleshooting, Emergency Lowering and Cleaning Instructions. This video provides general instructions on how to use the Sabina™ sit-to-stand lifts, including Operation, Charging, Simple Trouble Shooting, Emergency Lowering and Cleaning Instructions. This video provides general instructions on how to use the Likorall­™ 200 overhead lifts, including Operation, Charging, Simple Trouble Shooting, Emergency Lowering and Cleaning Instructions. This video provides general instructions on how to use the Likorall 243 overhead lifts, including Operation, Charging, Simple Trouble Shooting, Emergency Lowering and Cleaning Instructions.